Four months after two devastating earthquakes struck the country, Nepal is slowly getting back on its feet. As the peak tourist season gets underway, travellers can help the country recover by booking a holiday. In July the UK Foreign and Commonwealth Office and the US State Department both softened their travel warnings for citizens visiting most parts of Nepal. Although travel companies cancelled trips in the aftermath of the earthquakes, many are now running tours for the post-monsoon peak season, which runs from late September to late November. The earthquakes affected 14 of the country’s 75 districts. Although the devastation is extensive in these 14 central districts – they will take many years to recover, and travellers should avoid them for now – the remaining 61 survived relatively or completely unscathed and are safe to visit. 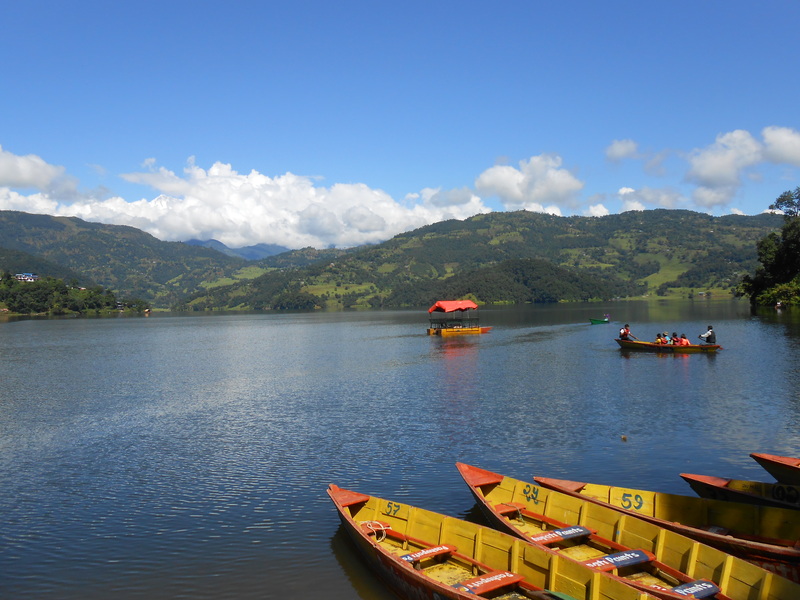 For example, the tranquil lakeside city of Pokhara, the national parks of Chitwan and Bardia – home to rhinos, elephants, tigers and a wealth of other wildlife – and Lumbini, birthplace of the Buddha, all escaped major damage. The capital – and the surrounding valley, the country’s cultural heartland – was badly affected by the earthquakes, but is now getting back to normal. In July UNESCO decided not to put seven Kathmandu Valley World Heritage Sites on its “danger list”, and they are now open to the public again. Some – including the mesmerising Buddhist stupa at Boudha and Pashupatinath, Nepal’s holiest Hindu pilgrimage site – were largely untouched. Others, such as Kathmandu’s Durbar Square and the Swayambhu Temple, suffered significant damage, but restoration work is underway. More than 90 per cent of Kathmandu’s hotels and guesthouses, particularly those in the tourist hub of Thamel, have reopened. Look for one with a green sticker, which indicates that government engineers have assessed it as safe: for a list of hotels with the green sticker, visit this site. Most restaurants and travel agencies are also open for business, there is electricity (though the regular pre-earthquakes power cuts continue) and internet access, and ATMS are functioning as normal. Kathmandu’s international airport remained open throughout the earthquakes, and continues to be served by a wide range of airlines. Most of the regional airports and the major roads are also open, and outside of the worst-affected areas, it is straightforward to get around. Yes. Miyamoto International, a major engineering firm, has carried out assessments of the major trekking areas. It judged that both the Everest and Annapurna regions will be safe to trek in after the monsoon. The Trekking Agencies’ Association of Nepal is overseeing assessments of other trails, and says most of the other popular trekking regions – excluding Langtang, Rolwaling and Manaslu – are also safe. It can be a tricky getting insurance for trips to Nepal, though the situation is likely to improve over the coming weeks and months: travel agencies can provide the latest advice. Nepal’s tourist industry runs a useful Facebook group. The About Nepal Now website, a collaboration between travel experts and the Nepal Tourism Board, will be similarly helpful when fully up and running.